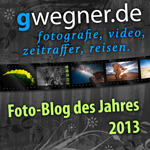 This post was last modified: 2017-10-05, 18:54 by gwegner. The Timelapse+ View and LRTimelapse work very well together. You can freely keyframe all tools in Lightroom, including Exposure and still preserve the adjustments from the view. Everything will happen in a pure raw file basis without any loss in quality, regardless of how many edit steps you do. Visual Deflicker will remove any residual flicker, you can even do multiple passes without any loss in quality. visual previews will allow you to see the developed results before actually rendering. This saves a lot of time. By default the View writes exposure compensations to his XMP files in order to smooth out holy grail sequences. Those compensations by default have the disadvantage, that you cannot use the exposure tool in Lightroom anymore for further editing. Therefore, when you bring a sequence form the view into LRTimelapse, LRTimelapse will detect those compensations and put them to a background layer (exactly like the holy grail wizard does in LRTimelapse). This will allow you to freely keyframe all Lightroom/ACR tools, including the Exposure. There is not much you have to to in order to get this working. Load a sequence from the view including its XMP-Data into LRTimelapse. LRTimelapse will migrate the compensations from the column "Ext-Exp.Default" to "HG-Lum-Leveling" (the values have a different scaling, no worries). You'll see the orange zig-zag-curve mirrored to the blue luminance curve. 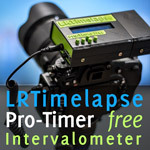 Now you can proceed through the LRTimelapse workflow. Just skip the Holy Grail Wizard, then you will be using the View's corrections and still be able to freely keyframe all editing tools. If you want to try the LRTimelapse Holy Grail wizard instead (it does very similar corrections, but will overwrite the ones from the View) - no problem. You can always go back to the corrections by the view by resetting your sequence and choosing "Metadata/Initialize" in LRTimelapse. 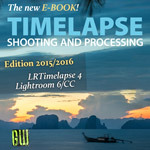 The LRTimelapse workflow is explained in https://LRTimelapse.com/workflow - check the tab "visual workflow". I'm running into an issue where sequences from the VIEW won't show as being keyframed when I reload the metadata from within LR. I load them, pick number of key frames, save and it shows that it's keyframed them in LRtimelapse but then when I reload the data, no starring has occurred. This post was last modified: 2017-02-13, 10:39 by gwegner. Got it to work after fiddling for a while, seems to only be the autoramping sequences on the VIEW. I'm not sure what the issue is but it seemed to be something with the first time it writes the metadata. Could be an isolated issue with my machine or something but wanted to let you know.